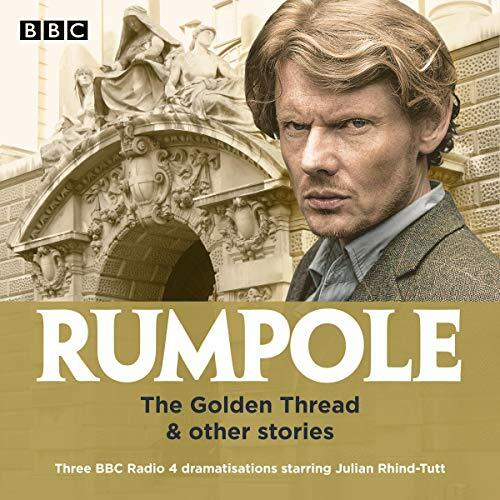 Three thrilling full-cast dramas starring Julian Rhind-Tutt as the irrepressible Horace Rumpole. 'Rumpole and the Official Secret' - Rumpole defends a civil servant accused of selling secrets and is embroiled in a wine fraud. Meanwhile, Phillida tells Rumpole she plans to leave her husband and asks him to keep it a secret, and Horace considers what that might mean. For 15 years, Rumpole has fought, won and occasionally lost myriad cases - and fallen in and out of love with both wife Hilda and ‘the Portia of our Chambers’, Phillida Erskine-Brown. These three episodes leave us guessing until the very end - will Rumpole finally leave ‘She Who Must be Obeyed’ for Phillida? Julian Rhind-Tutt stars as Rumpole, with Jasmine Hyde as Hilda, Nigel Anthony as Claude Erskine-Brown and Cathy Sara as Phillida.